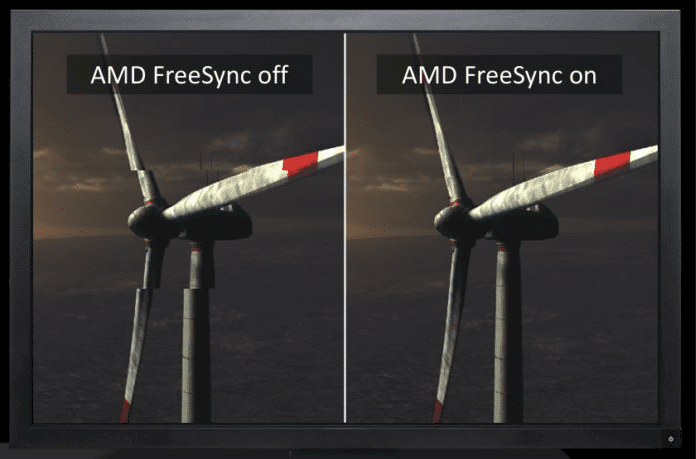 In this article we’ll be talking about the main differences between Nvidia’s G-Sync and AMD’s FreeSync technology. If you want to know more about how these technologies work you can always visit their respective library pages by clicking on the links. 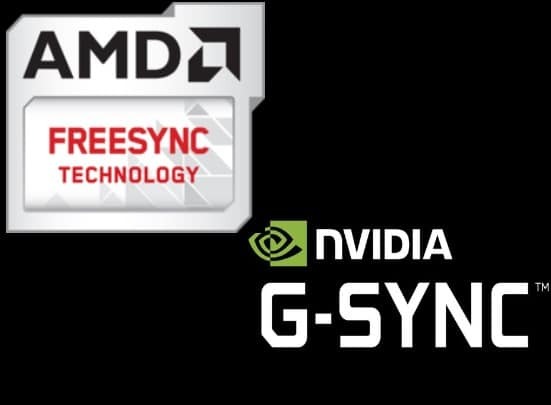 In short: G-Sync and FreeSync are both adaptive sync technologies. When your system is pushing more frames than your monitor is capable of producing (see: framerate) it causes screen tearing, which means that your GPU is already trying to display the next frame but your monitor can’t keep up, causing two frames to be displayed at the same time. Conversely; having a system that can’t push enough frames to match your monitor’s refresh rate can cause image stuttering. Both of those issues can be somewhat remedied by turning on V-Sync, but that causes various amounts of input lag, which means that V-Sync is far from an ideal solution for competitive gaming. 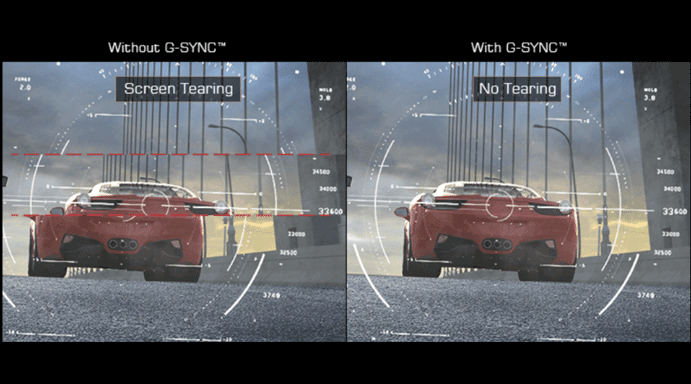 G-Sync and FreeSync solve these issues by matching a (compatible) monitor’s refresh rate to the amount of frames a system is pushing, thus eliminating tearing or stuttering. Straight off the bat there’s one difference that’s immediately noticeable, and that is that G-Sync compatible monitors start at a much higher price point when compared to monitors that are equipped with FreeSync technology. That’s because G-Sync is proprietary technology, and FreeSync is open to be used by every manufacturer. If a manufacturer wants to make a G-Sync compatible monitor they have to go through Nvidia and include a specific module in their product that’ll allow the technology to work. 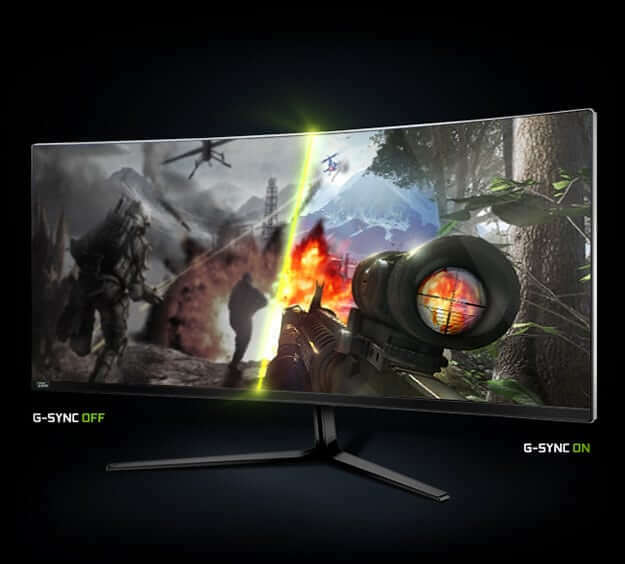 Since Nvidia oversees the production of all monitors that are compatible with G-Sync they want to make sure that only quality products feature their G-Sync technology, and having the most premium panels, materials, and so on will cost a bunch of money, that’s only logical. FreeSync, on the other hand, is royalty-free. Manufacturers are free to implement it (they don’t have to go through AMD or pay fees in order to use the tech) and FreeSync uses VESA Adaptive-Sync, which is a part of DisplayPort 1.2a, which means that it’s far more accessible to use when compared to the proprietary module that you have to put in your product if you want to include G-Sync. 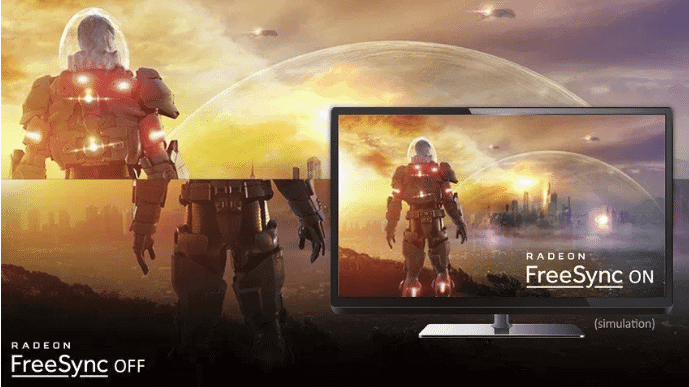 As a result of this, a much wider variety of monitors include FreeSync, since there are no requirements or fees attached to using the technology. Both technologies only work when matched with hardware made by their respective parent companies; you need an Nvidia card to make use of G-Sync, for example. Since FreeSync monitors are much cheaper and easier to produce there’s going to be a much larger line of products you can choose from if you want to go for a FreeSync monitor. That’s both good and bad news. More availability means that you can shop for a FreeSync monitor if you’re on a budget (which you’ll find hard to do if you’re after a G-Sync panel) but because of the fact that there are no requirements or licensing fees almost anyone can produce a monitor with this technology, meaning there’ll be far more variance when it comes to quality. FreeSync (just as G-Sync) works really well for the most part (some users report that they notice ghosting -moving objects leaving behind a little ‘trial’- when using certain FreeSync monitors) though it does only work between specified frame rate ranges which, depending on the monitor, can be quite narrow. If you’re rocking a monitor with a rather narrow adaptive refresh range (you can find this info on AMD’s website) this can cause issues if your system isn’t capable of staying between that refresh range. Then there is also the fact that you’re going to have to be a bit more ‘aware’ when purchasing a FreeSync monitor. Since AMD isn’t actively monitoring all products that contain FreeSync technology it’s only natural that some subpar products also have FreeSync, meaning that you’re going to have to do a bit of research for yourself to see it the monitor you’re eyeing is worth your hard earned cash. As mentioned before; Nvidia has strict requirements that need to be met if a manufacturer wants to include G-Sync technology in their products. These requirements aren’t public, but it is known that they’re rather strict. As a result of that only top of the line gaming displays feature G-Syncs since Nvidia flat out turns down lesser quality monitors. Quality obviously comes at a price, so G-Sync monitors aren’t an option for anyone on a strict budget. You do get what you pay for though; since Nvidia oversees every aspect of the production of a G-Sync monitor they can make damn sure that the monitor functions perfectly before it hits the shelves, so you generally won’t find any performance issues (such as the aforementioned ghosting on some FreeSync models) when you buy a G-Sync monitor. You can rest assured that you’re buying a top tier gaming display if you’re shelling out the extra bucks for a G-Sync monitor. We’re painting with broad strokes here, but ultimately it’s a choice between value for money or guaranteed top of the line performance. That’s not to say that FreeSync doesn’t do what it promises to do (it does) but G-Sync monitors have been certified by Nvidia during every step of the production, meaning that you’re going to get a superior gaming experience from these monitors, but that comes (as mentioned) at a price. FreeSync offers great performance for the money but it’ll require you to do a bit more research for yourself, since there’s much more variance between the quality of FreeSync monitors. Thank you for this article. i finally understood what gsync and Free sync are. Glad you like it and thanks for the kind comment!